Product code: D104 Categories: Animal & Bird, Cotton, Fabricland, Greys & Blacks, Luxury Fabric. 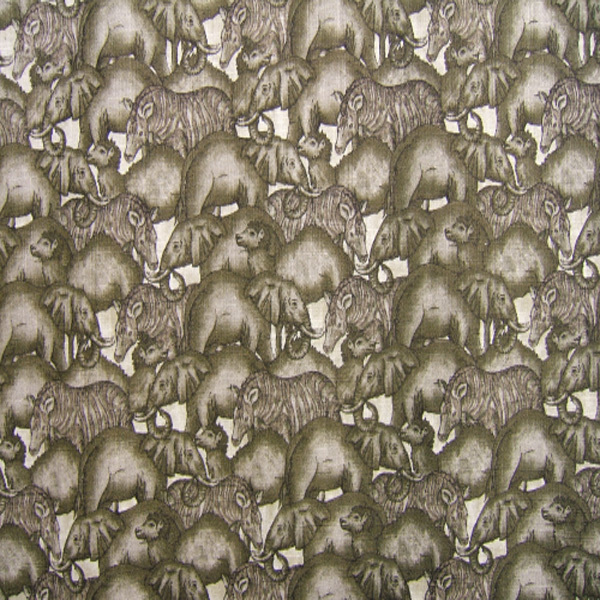 Animals in Grey by Fabricland – how many animals fit onto one piece of fabric? There are elephants, zebras and lions making their way across the fabric in shades of grey. This is a good quality cotton fabric measuring 1 metre 40 centimetres wide. The pattern repeat of Animals in Grey by Fabricland is 44 centimetres. There is a good pattern coverage making this a great fabric for a range of interiors including cushions, curtains and blinds. Would be suitable for a childs playroom or for an animal lover.